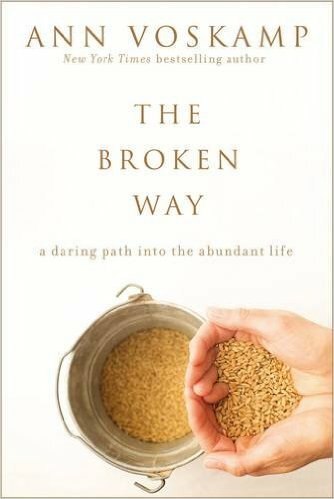 About a year ago I read and reviewed The Broken Way by Ann Voskamp. 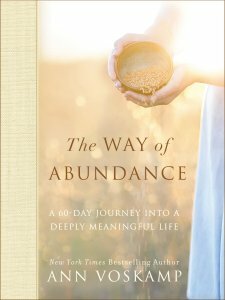 And now that I share a review of her newest book—The Way Of Abundance—you might be tempted to think that brokenness and abundance sound contradictory, but you would be wrong! In The Broken Way, Ann wrote, “Unless we die, unless we surrender, unless we sacrifice, we remain alone. Lonely. But if we die, if we surrender, if we sacrifice, that is when we experience the abundance, that is when we dance in communion. The life that yields the most—yields the most” (emphasis mine). Now in The Way Of Abundance, she shares this opening thought, “What would happen if the scars you carry are what God uses to carry Christ to a scarred and broken world? Weak is the real strong. Brokenness is the real abundance” (emphasis mine). Brokenness cannot stop meaningfulness. God wants to work through your brokenness to do something abundantly more than you can even imagine. And He can and will do it if only you will yield your pain to Him. 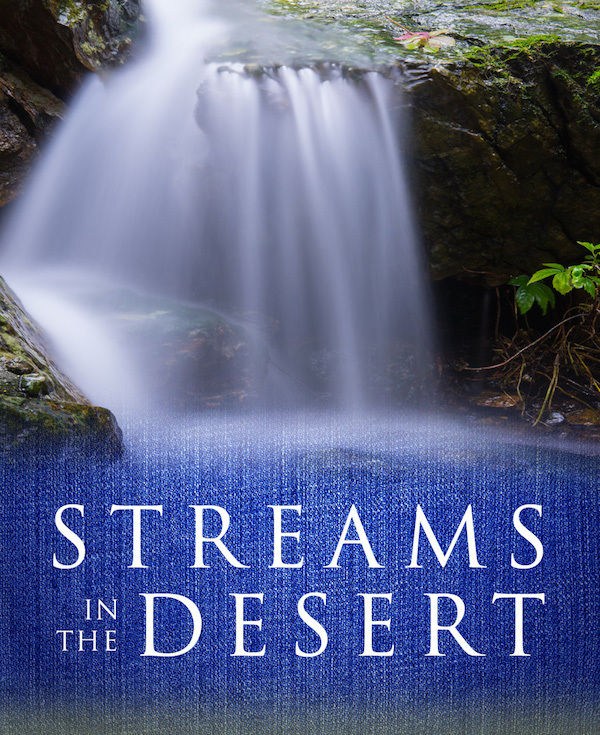 The Way Of Abundance is given to us in 60 shorter devotional-style chapters. It’s a two-month journey into getting to see our pain, disillusionment, brokenness, and questions in a new light. It’s a journey to get us to change the focus from our brokenness to Christ’s abundance, and in so doing, discovering how Christ can enrich the world through our yieldedness. Read this book for yourself. Read this book for other broken people. Read this book with other broken people. And then watch the abundance of Christ’s life explode like you’ve never imagined! 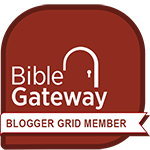 I am a Zondervan book reviewer. “What in God’s holy name do you do when it feels like you’re broken and cut up, and love has failed, and you’ve failed, and you feel like Somebody’s love has failed you?” With these raw, penetrating questions, Ann Voskamp opens her book The Broken Way. Not only does she open her book, but she opens her heart. In every chapter we are gifted with Ann’s vulnerability and realness. Yes, it is a gift that someone like Ann would be so transparent in sharing her pain, her questions, and also her path to healing and wholeness. Yet Ann would probably tell me that “wholeness” is not the goal. The goal is brokenness and givenness before God and to the other broken, hurting people around me. It’s in the embracing of the healing that comes from the Healer, and in giving that healing to others, that we truly find how Jesus walks with us on the broken way. This is a book of healing. A book that will remind you that you are not alone in your pain, in your questions, in your searching for answers. This book is a gift to anyone who feels broken, cut up, cut off, or beaten down. Perhaps you need this book for yourself. Perhaps you can read it with a broken friend. In either case, reading this book will help reveal the depths of love that can flood into your life when you encounter the Wounded Healer: Jesus! To “crucify” means to put to death, not counteract, not sit on, not whitewash, but kill. If I do not put to death the things in me which are not of God, they will put to death the things that are of God. I’m trying to live broken and crucified. How about you?